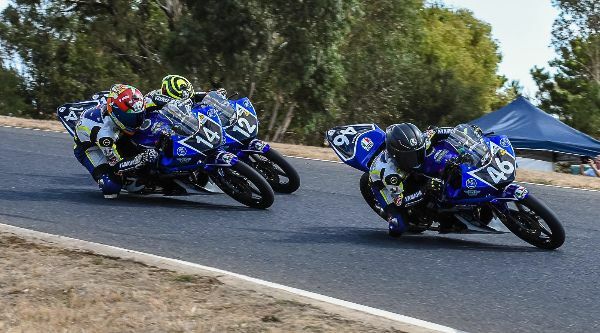 Carter Thompson enjoyed his second round win in a row here at the State Motorcycle Complex in Broadford, Victoria for Round 2 of the 2019 bLU cRU Oceania Junior Cup (April 5-7). 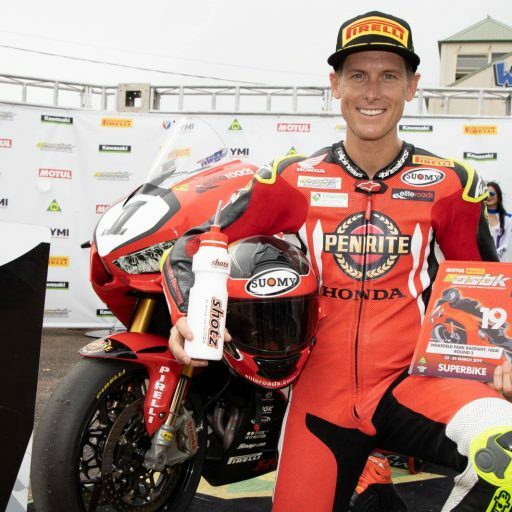 Thompson took the overall win with consistently solid placings in the first two races, and a victory in Race 3 to put him ahead of second-placed Angus Grenfell and third-placed Tom Drane on a countback. 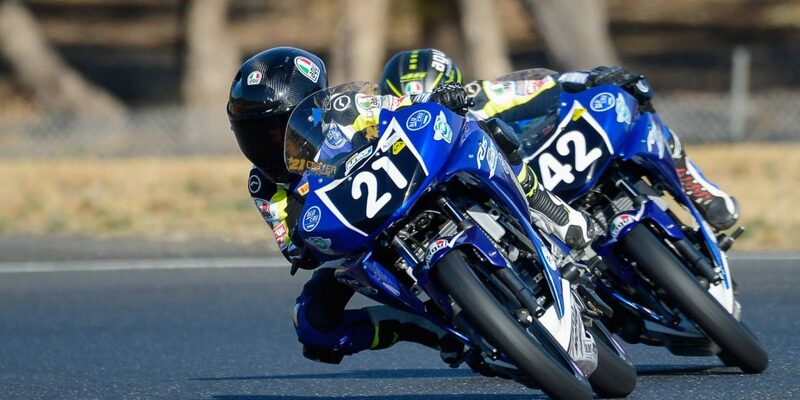 The day’s racing was hard-fought, with plenty of passing action as the young racers ducked and dived for position in groups of five and even ten riders at some points during the weekend. 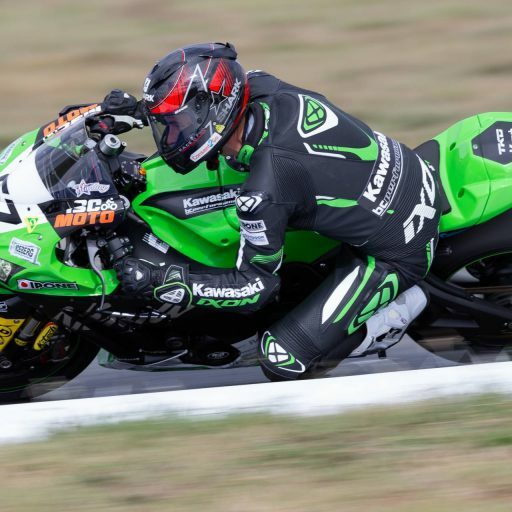 The opening race of the day for the Oceania Junior Cup closely mirrored the action from yesterday, with a number of ‘trains’ forming and competition fierce all the way up and down the field. A lead group of four emerged off the start, with Jacob Roulstone, Cros Francis, Grenfell, and Glenn Nelson battling for the lead through most of the race. The chasing pack was led by yesterday’s winner Tom Drane who settled into fifth off the start, ahead of Cormac Buchanan and Alex-Kenworthy-Jones. By lap six Drane had broken away from the second group and was looking to tag onto the back of the leaders, building a gap over the chasing pack now led by Thompson. 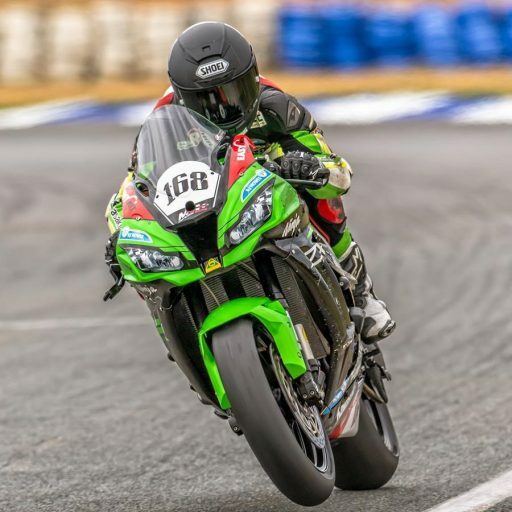 At the finish it was Roulstone a mere fifteen hundredths ahead of Francis, still looking for his maiden victory in the Oceania Junior Cup despite a second place overall at Wakefield Park and a second place in the first two races here at Broadford. 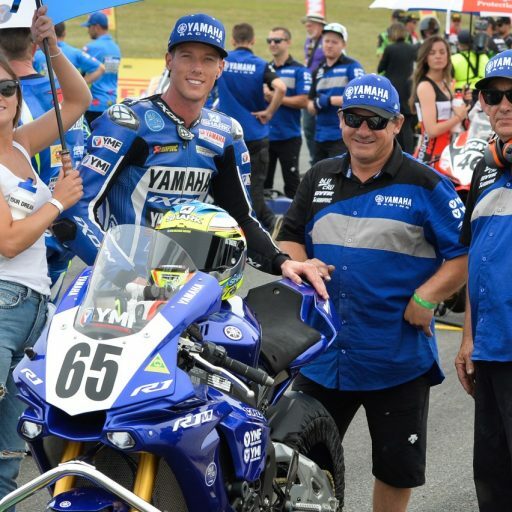 Grenfell also reprised his third place from Race 1, finishing three tenths off the win to round out the podium. Glenn Nelson in fourth just missed out on the podium by under a tenth of a second, while Drane in fifth couldn’t quite bridge the gap to the leaders by the time the chequered flag came out. Thompson led the rest of the field home in sixth, more than four seconds further back. Roulstone once again decided to put his stamp on the race early, leading the field across the line to begin lap one, with Buchanan in second and Grenfell completing the leading group of three, with Drane, Reece Oughtred and Nelson pursuing a second further back. Buchanan’s running at the front didn’t last long, unfortunately, as he fell at turn two on lap two, bringing out the red flag. The race was subsequently shortened from twelve to ten laps and the field lined up again to take the restart. After the restart Grenfell took the lead ahead of Nelson. Francis was the big benefactor from the red flag, making his way back to third ahead of Roulstone and Oughtred. The battle at the front of the field raged intensely as the riders tried to make the most of their second-chance opening laps, with the lead group expanding to include almost half the field in the first four laps. When the action did settle down a little, Roulstone worked his way back to the front, with Nelson hot on his heels. Francis managed to hold down third from Oughtred and Thompson. Lap six and the field had bunched back up at the front with Thompson overtaking for the lead ahead of Nelson, and Oughtred finding his way past Francis. Roulstone was back in fifth and Grenfell in sixth. Race 1 winner Drane was stuck back in ninth. 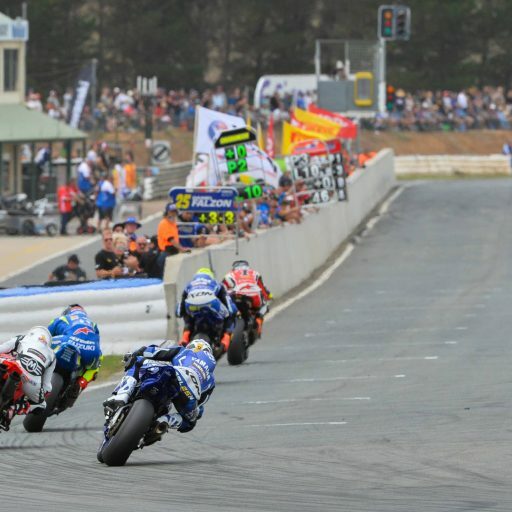 On lap nine the riders made their way down through the esses on the approach to the penultimate corner, and in the squeeze Francis and Thompson appeared to make contact. Francis was sent into a low-side and in the following chain reaction Roulstone and Nelson also crashed. The red flag went out once again and the race was declared, with Thompson awarded the victory ahead of Grenfell, Oughtred, Marianos Nikolis, Archie McDonald, and Drane. 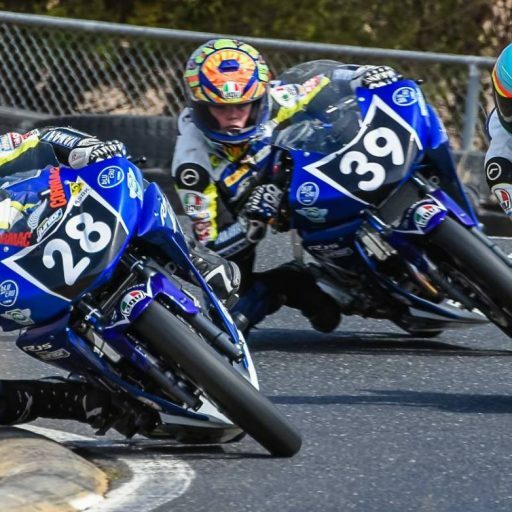 Round 3 of the 2019 bLU cRU Oceania Junior Cup takes place at Morgan Park Raceway, Warwick, Queensland, 5-7 July 2019. Keep up to date with all the information and updates from the Oceania Junior Cup on Facebook.